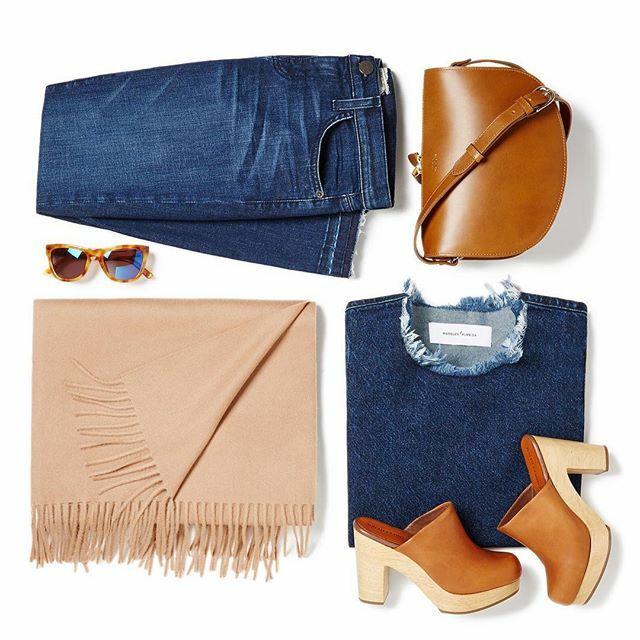 Longtime friends and this Fall’s hottest couple, denim and camel are one of my favourite pairings and Shopbop has put together some fabulous looks for you to shop! I’m ready to start layering the two together and so I searched through my archives for inspiration photos. These were shot back in August in Detroit and I love the denim and camel colour story here — between the blue sky and the wheat, my denim 70s skirt and the colour of the gravel — I’m ready to start playing sartorial dress up.